For sale: a two-person control console for the Hubble Space Telescope. Buy it now price is 75 grand, and shipping's just $1,500. But wait – there's more! Included with the control console is a "Vehicle Power Interface Console," which was originally offered last year by the same seller. 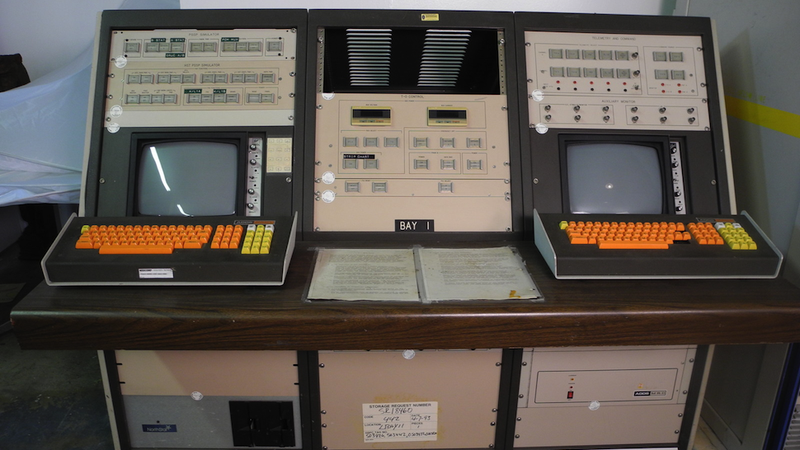 Nobody bought it (apparently 75 grand is asking a little much for a one-of-a-kind piece of space memorabilia like a Power Interface Console for the HST), so the seller paired it with the console pictured up top and put it back up for sale. They make quite the couple, don't you think?